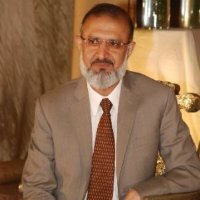 Professor Dr Rauf Niazi is the Head of Department of Internal Medicine and Endocrinology of Shaheed Zulfiqar Ali Bhutto Medical University PIMS Islamabad, Pakistan. He is well-known internist and endocrinologist of Pakistan. He has earned multiple fellowships including Fellowship of American College of Endocrinology, Fellowship of Royal College of Physician (London), FRCP (Glasgow), Fellowship of College and Physicians and Surgeons Pakistan. He trained 1000s of fellows so far, who are now serving the humanity all around the world.